← We Wish You – Happy Holidays! 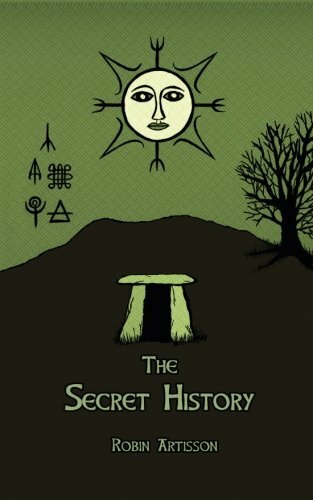 “The Secret History” concerns the deepest matters of all: cosmology and the story of life’s emergence and meaning, told from the perspective of a primordial way of seeing and comprehending nature that existed long before civilization began. Robin Artisson brings together folklore, mythology, animistic perspectives, and dark spiritual ecology to rebirth a vision of who we are, where we came from, and what might happen to us ultimately, along with spiritual insights into the devastating cost of the excesses of civilization. This book also examines the nature of the ancient Mysteries, experiential pathways that were established in pre-Christian times and which allowed for humans beings- themselves originally entities from the Underworld- to encounter the beings native to their original condition and reestablish relationships of familiarity with them, for the purpose of rediscovering a deeper sense of peace and place in our world. Two methods of establishing new relationships with those same powers are detailed, methods that aim at transforming a person’s life and destiny beyond the grave.